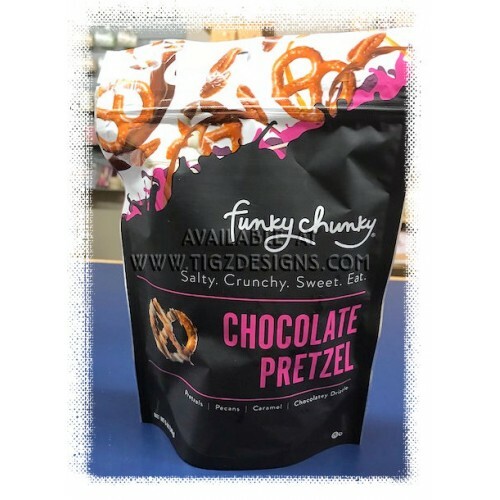 Chocolate Pretzel: One kind of chocolately drizzle pieces is good...but three kinds is a culinary trifecta. Swirls of milk, dark and white chocolately drizzle is loaded on pretzels, which is intense. But then the folks at Funky Chunky have laced caramel on top and studded all that goodness with bits of buttery pecans!! 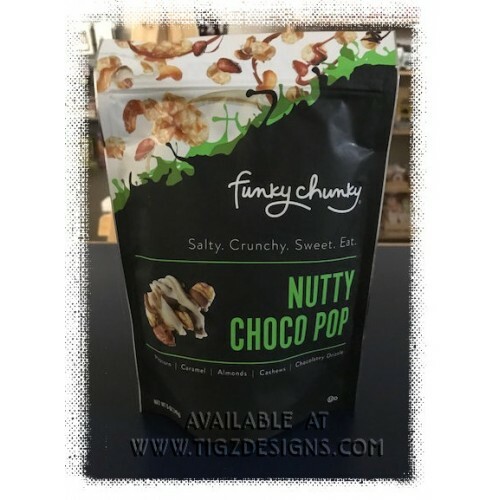 Nutty Choco Pop: Nutty Choco Pop is a stylishly nutty, salty-sweet treat. 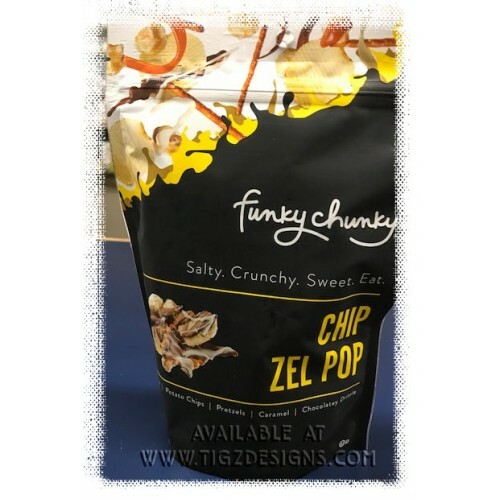 Signature Caramel popcorn wed to be mixed with nuts and sealed with the coupling with a trio of chocoately drizzle. Chip Zel Pop: The satisfying bit of salty chips and pretzels is the classic go to snack. But those combined with buttery caramel popcorn? And thick swirls of caramel? And three kinds of chocolately drizzle? Small or Large Bags - Please state choice at time of ordering if you prefer one over the other.